Surprise your friends with your own screensaver. 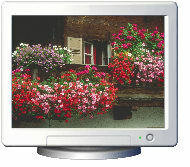 Slideshow Screensaver Maker creates professional-looking screensavers using your photos which you can send to your friends and relatives. 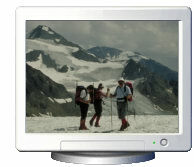 All you have to do is select photos and choose a name for your screensaver, Slideshow Screensaver Maker will do the rest! These screensavers use special transition effects for blending between pictures. Furthermore, you can specify a number of settings, such as the order of the pictures, the effect rate, the number of pictures simultaneously displayed on the screen and much more. Download Slideshow Screensaver Maker now and surprise your friends with your own screensaver.